Dansko's anytime shoe shine offers a quick and easy solution for helping your shoes look their best. By buffing your leathers with the included sponge, your shoes will radiate a fresh and clean shine. 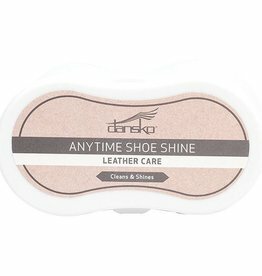 Dankso's leather cream conditions, weatherproofs and restores your full-grain and rich leather footwear. Apply a thin coat to your shoes and experience protection from water, oil and other potentially harmful elements.